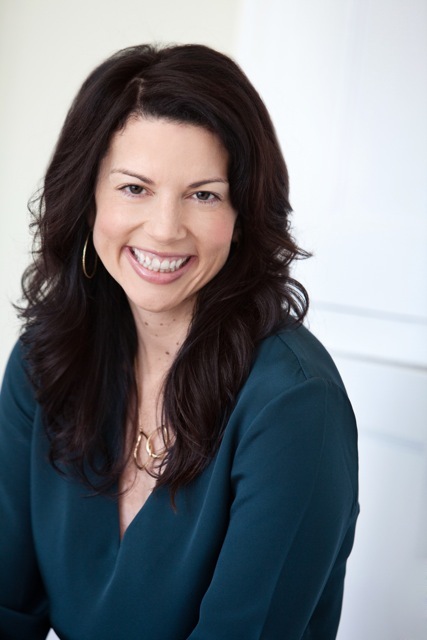 Tech Superwomen — as we gear up for the meet-up in Austin this Saturday, I am honored to have Gina Bianchini join the blog line-up. Gina Bianchini is sharing her inspiring founder story, what’s yours? Share in the comments below. There is a secret that all great entrepreneurs know. In an age that worships at the altar of Big Data, A/B testing, and analytics, people still want to hear your story. This regularly surprises me. My story seems irrelevant to whether we are delighting our users and creating a phenomenal product. On many levels, I’m right: my story is irrelevant to our users. However, as humans, we are hard-wired for stories. While your story may not be how you build software, it is definitely why you build the software you build. Stories are how people decide to care about you and if what you are doing is relevant to them. They are why people to fall in love with your idea, product, brand or vision. From fundraising to recruiting, a start-up founder’s story only grows in importance as you go. For me, my entrepreneurial obsession started young. I create community platforms. I am obsessed with all the interests, passions and goals that make people unique. This passion for communities of interest goes back as far as I can remember. Growing up in Cupertino, California, my grandfather got together once a week with his Lions Club; my father took Sunday afternoon drives with his Model T Ford Club; and my mother shared tips and tricks with her collective of fellow Guinea Pig breeders. From church on Sundays to soccer matches on Saturdays to study groups and class projects the rest of the week, family, small groups, sports teams and intimate communities fed my curiosity and gave me the encouragement to take on bigger and bigger challenges throughout my life. When my father died suddenly when I was 11 years old, my local children’s theater troupe jumped in to be there for me, my brother and sister. While I may have just confessed to being a tween theater nerd (guilty), I’m also not sure how we would have made it through those first few months without this creative community and their support. I was extremely fortunate to be born into a physical community that celebrated interests, passions and a sense of purpose. Not everyone is. While there is much hand-wringing over how much time we spend on our phones playing games, we also living at a time of unprecedented opportunity to find small communities of passions that cross geographic, structural and cultural lines. The communities of interest and purpose we can support and encourage online and in the real-world in the next five years is simply awe-inspiring. SXSW can’t hold a candle to what is coming next. I believe communities of purpose will be how more of the world’s population learns in new and innovative ways. I believe communities of purpose will cure cancer. I believe every pop star worth their salt will be artists first and community organizers in very close second. It doesn’t matter where you are born or what language you speak, in a connected world, every person has the right to follow their dreams and find the place where they truly belong. That’s my founder story. I’d love for you to share yours. Don’t forget to add the Official Tech Superwomen SXSW meet-up to your SXSW schedule, taking place on March 9, 2013, 3:30 – 4:30 p.m., at the Empire. Get the latest event updates on Eventbrite. What are you most looking forward to? Join the hashtag #TXSWSX and let me know. Hundreds Gather for Inaugural Tech Superwomen Summit! The Lean Startup calls on Tech Superwomen to speak -- what myths are holding you back?